Statement necklaces are hot, and why wouldn't they be? Who doesn't love sprucing up a great classic outfit with an amazing statement piece? They are perfect for a casual day running errands, or a busy day in the office bouncing meeting to meeting. Either way, at work, in the street, or even a night on the town, you can always kick your look up a notch with an amazing statement necklace! Take a look at the budget friendly pieces we found below that would go amazing with any outfit you may want to give a little oomph to. Are you a statement necklace fan? Where is the one from in your IG photo from this morning? Bauble Bar always has great stuff! I tend to always forget to wear jewelry at all. Totally girl fail! I think they are pretty though. Aren't they gorgeous?! They def are a great accessory. So many cute picks! Statement necklaces are so necessary and we love how they magically amp up any outfit. Great reminder to grab ours for our next look! Thanks! The absolutely do add a little spice to any outfit! I am all about a statement necklace! Its like a way to shine and stand out and can take any outfit to the next level. One can never be too fabulous! 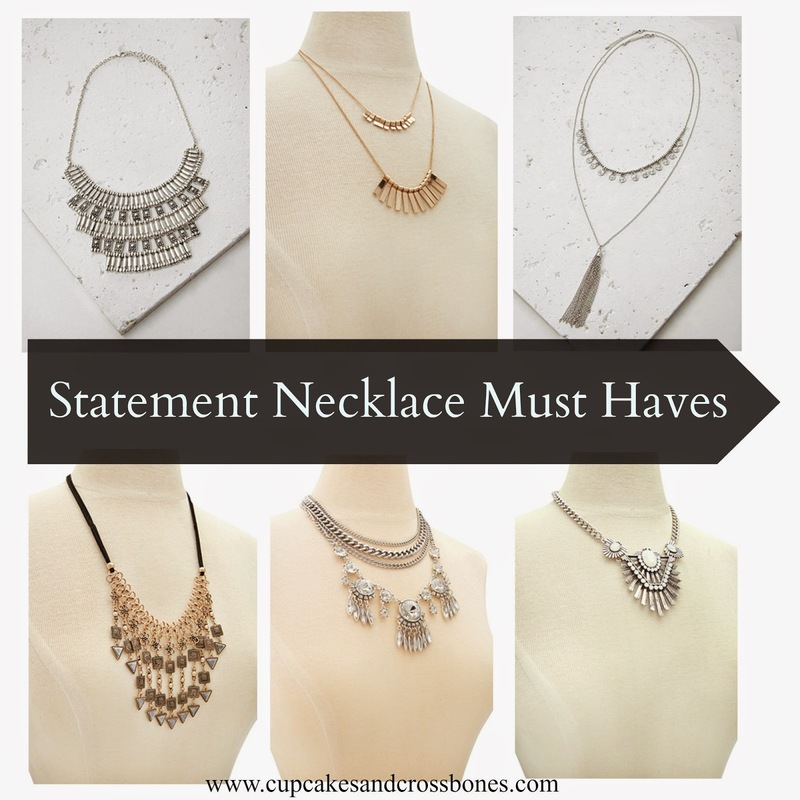 I love to see statement necklaces but I rarely wear them myself! Love the one in the middle of the top row though. Thats my fave! We love that one too! It could go perfect with anything!